Fibromyalgia (FMS) and other chronic pain disorders are often difficult to diagnose and treat. We are studying central nervous system mechanisms which are at the cause of chronic pain and fatigue in FMS and other chronic pain conditions. Our findings may aid diagnosis and inform physicians on better approaches for the treatments of chronic pain conditions. Many medical discoveries are not possible without volunteers. Do not have diabetes, cancer, or weigh over 250 lbs. Our tests are safe and generally well tolerated. More importantly, you can stop testing for any reason at any time. 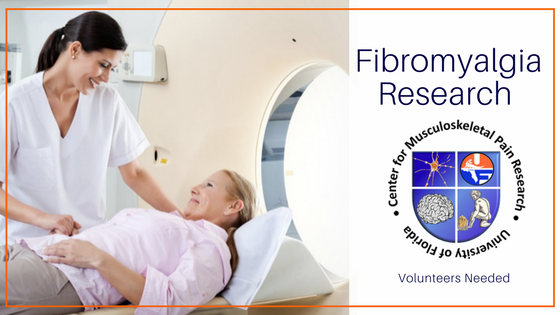 The Center for Musculoskeletal Pain Research will offer monetary compensation for qualified volunteers. Volunteers will also receive a free parking voucher for the duration of their visit.